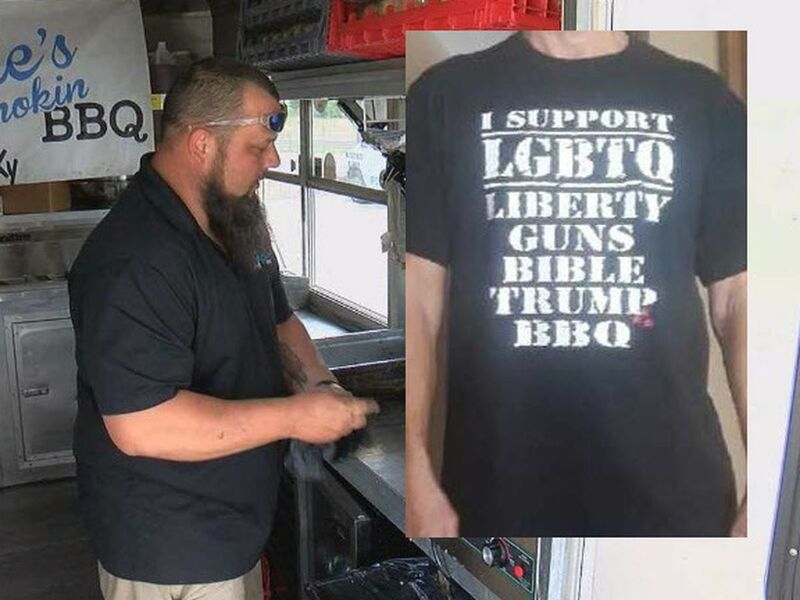 CHARLOTTE, NC (WBTV) - A restaurant owner is getting backlash after a photo was snapped of him at a Trump rally in Charlotte. A Charlotte Business Journal photographer, Grant Baldwin, snapped a photo of George Prisco holding a sign that read, “Finish the Wall.” Now hundreds of social media users say they’ll boycott his business. Now, hundreds are responding to the photo of him posed next to the three-word phrase, on social media. Carter is one of hundreds on social media sharing a post of the photo, and one of several writing a bad review for Prisco’s restaurant – Krazy Fish in Plaza Midwood. Prisco says he’s not against immigration, and that his parents were Italian immigrants. “I just want people to come here legally,” he says. Sitting with his kitchen manager Florena Mendez in his restaurant’s dining room, he tells WBTV, he sees the post’s attention as an opportunity for conversation. Monday, his restaurant is regularly closed, but he brought a group of staff members by. He says he’s proud of his employee diversity. He also sees the hundreds of customers online, promising to boycott. For people like Carter, it’s not enough. The restaurant will open Tuesday, as regularly scheduled.